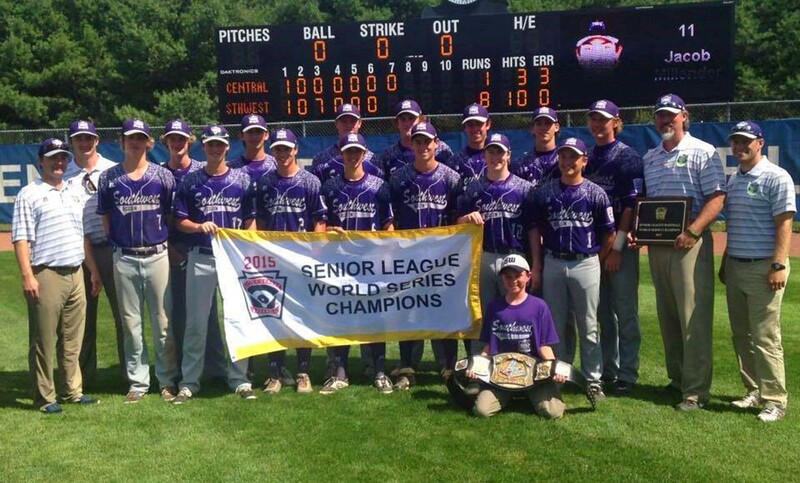 Despite a slow start and the added pressure of ESPN cameras, the West U boys were able to secure victory at the recent World Series. East Holmes capped off the Aug. 8 game when they scored the first run of the game during the top of the first inning against West U pitcher Joe Gobillot, who currently attends St. John’s School. West U tied it up by the bottom of the first inning. But it wasn't until the third inning when massive hits from Jimmy Winston, William James, Joe Gobillot, Turner Gauntt and Mitchell Black kicked off a seven-run inning and propelled the West U team to a smooth victory over their opponents from Ohio. The West University Seniors have the unique privilege of celebrating back-to-back world championships. West U is the first U.S. senior team to successfully win back-to-back championships. The 8-1 victory over East Holmes L.L., Holmes County, Ohio marks West U’s third World Series victory, having one in 2009, 2014 and 2015. Manager Clint Sauls could not say enough about the boys' accomplishments, saying that they're a "special group of kids" who worked "extremely hard" to achieve the goals set at the beginning of the summer. It is safe to say the entire community is proud of this team and all they have accomplished. Congratulations to the West U seniors! Read more about the West U seniors here.